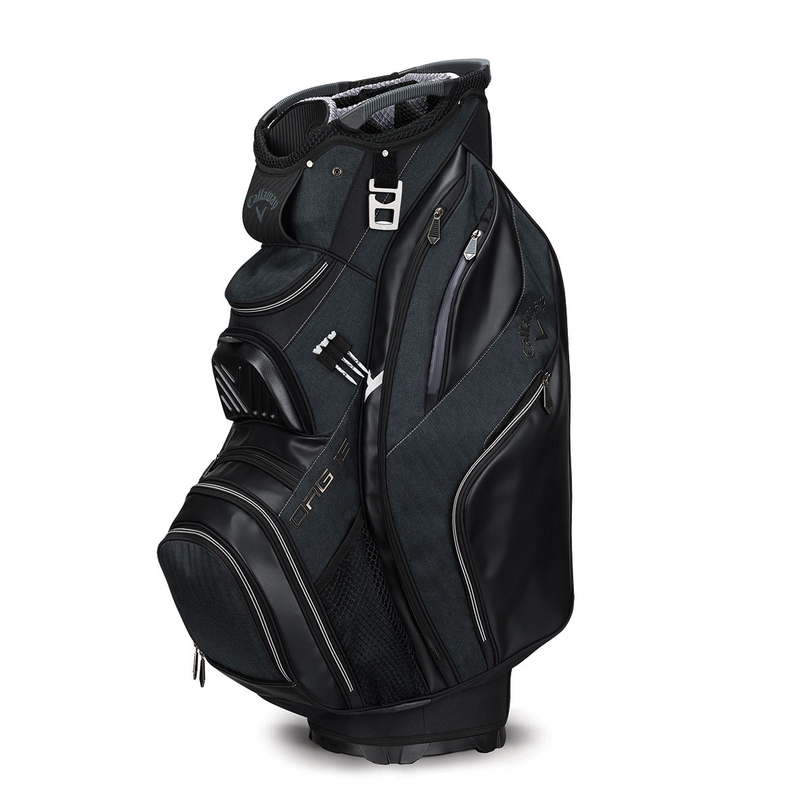 With the premium constructed Org 15 Cart Bag, you will get the ultimate in organisation. 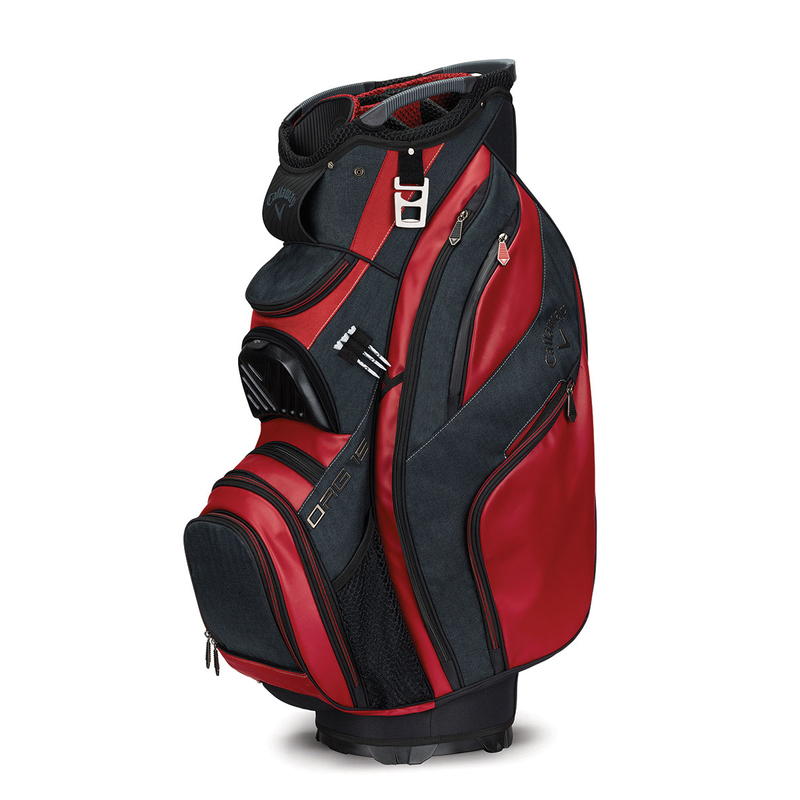 This bag has been constructed with premium and durable materials, and weighs 6.8lbs. 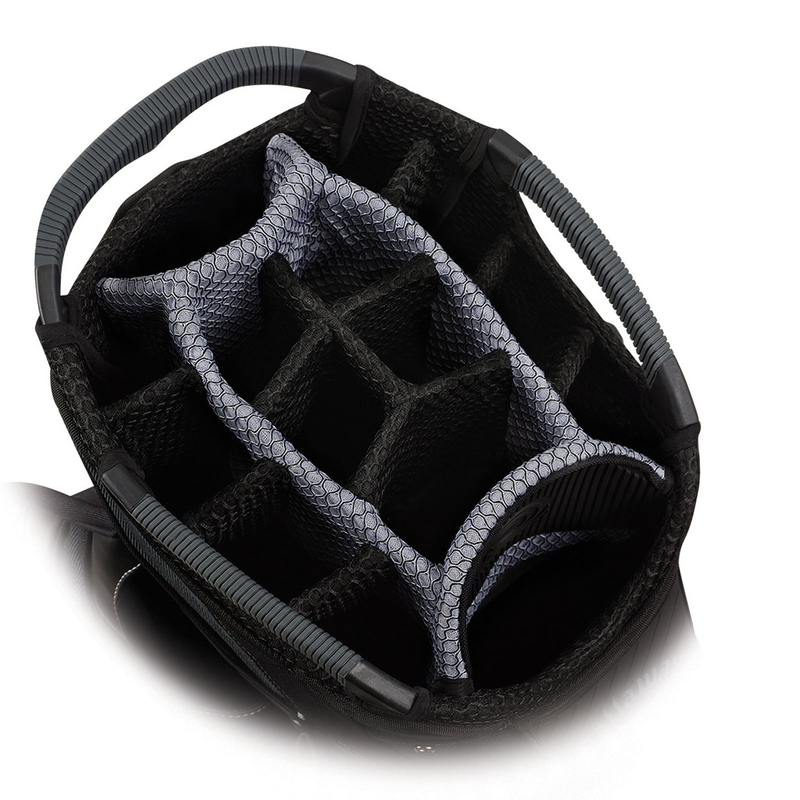 With a 15-way full length divider top (including an oversized putter well), you can be assured that your clubs will remain organised and safe throughout your game. Numerous pockets makes storage exceptionally easy, this includes compression moulded magnetic rangefinder, water-resistant valuables pocket, and Individual mobile phone sleeve. The bag also comes with a custom logo ready ball pocket, tee holder, pen holder, mesh netting and easy grab handles for easier manoeuvrability.